Enter a city and you will get all members in a 100 mile radius, with mileage to their office. Search within a selected distance. STAY CONNECTED! New FREE AFA Mobile App! AFA Celebrating it's 83rd year as the Nations, Largest, Oldest, Not-For-Profit Repossession Trade! 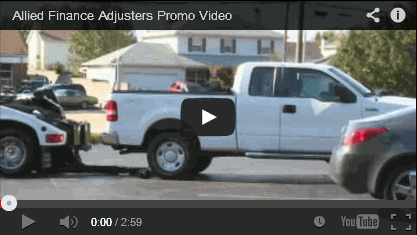 It is an honor and privilege to serve as President of Allied Finance Adjusters. Over the years I have met so many truly professional members of this association who have donated their valuable time to make this association the industry leader it is today. These people will be my role models and advisors as I lead this association into our next phase of growth. I am grateful to have the past presidents, members of our executive committee, board of directors, and those who volunteer their time and resources to our association. Regardless of what the other trades boast, allied is truly the largest not-for-profit trade association in the industry with over 290 individual members / physical offices nationwide. We are not an advertising platform nor do we allow our members to list phantom or ghost offices. All members go through a physical office inspection and background check. Since 1936 Allied Finance Adjusters has provided at both our Annual Convention and Mid Year meetings educational seminars including CFPB, FDCPA, Bankruptcy, Towing Safety, Skip Tracing, Legal advisement and client networking opportunities. Our Annual Membership directory is mailed to over 30,000 financial institutions nationwide. 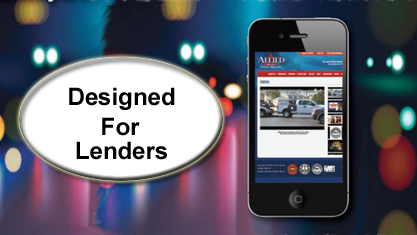 The Allied Website and Mobile App are both state of the art, designed and formatted with the clients in mind. Our membership search function is like no other in the industry, clients can search by their debtors home or employment zip code to locate the closets member by miles. My goal is simple, provide our members and the financial community the best education and training available in the industry. Continue to increase our membership, listen to the members and keep advancing. A national trade association of our size can provide a united voice and a place to learn what professionals regard as generally accepted practices in our industry. We are an important facet of the American economy and it is becoming more and more evident to consumers, lenders and our government. We need to continue to create industry standards that can be easily adopted by both financial institutions and the recovery agencies that provide the services to them. Our Board of Directors is strong, motivated and willing to help you in any way possible. We always welcomethose who want to volunteer and are open to suggestions. 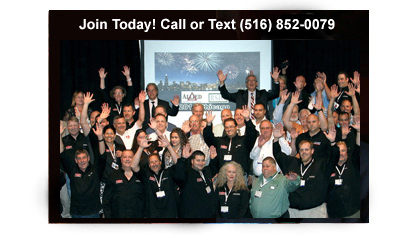 Request the AFA National Membership Directory FREE! ABOUT ALLIED FINANCE ADJUSTERS CONFERENCE, INC.
Allied Finance Adjusters (AFA) is the largest, not-for-profit, national trade association of certified, insured and CFPB compliant recovery professionals. AFA has led the industry as the first trade association to offer its members CFPB Training & ongoing continuing education. 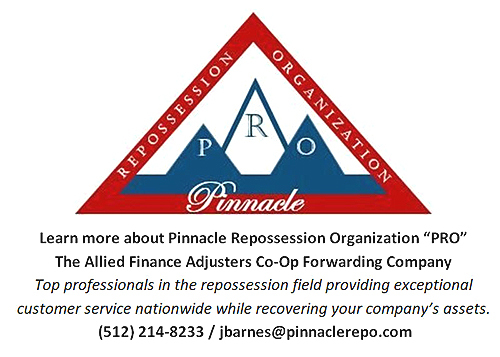 AFA Members are the most professional in the industry at locating and repossessing collateral on behalf of all lending institutions including, banks, credit unions, financial institutions, rental & leasing companies, buy here pay here, auto, truck and equipment dealerships. All new AFA Members must pass rigorous physical office inspections and background checks. AFA does not support Phantom or Ghost offices period. All AFA members are independent professional business operators and are covered by the AFA $1,000,000 Fidelity Coverage Policy. For more information please contact our home office (800) 843-1232. "Professionals Hire Professionals"